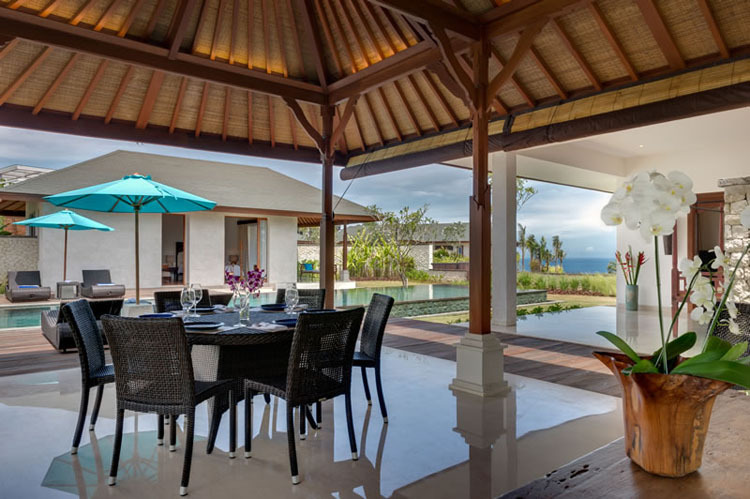 The Pandawa Marie villa is the best place to spend holidays with family. 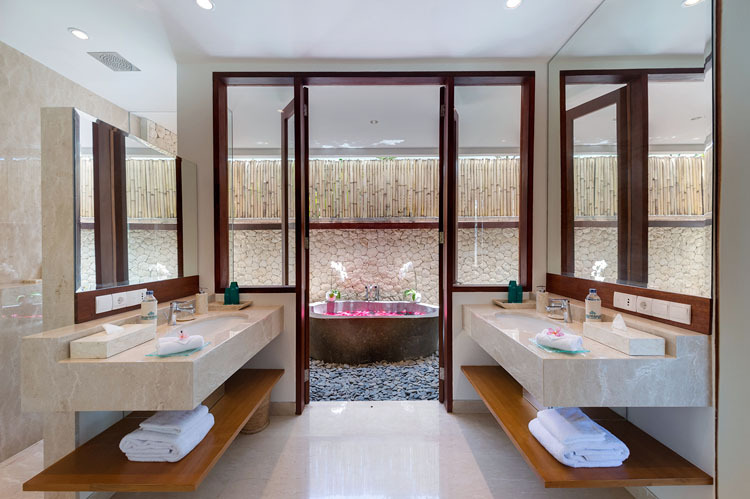 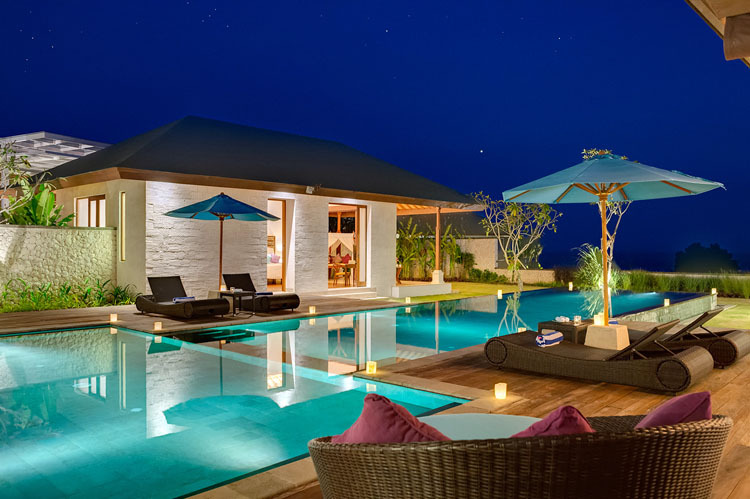 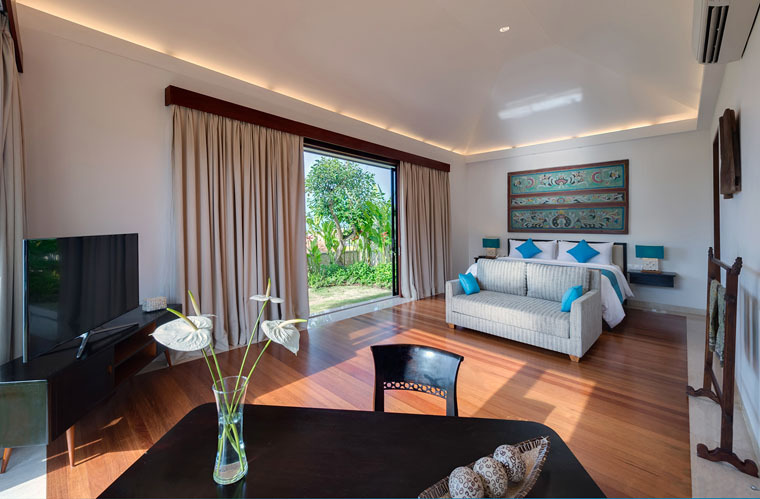 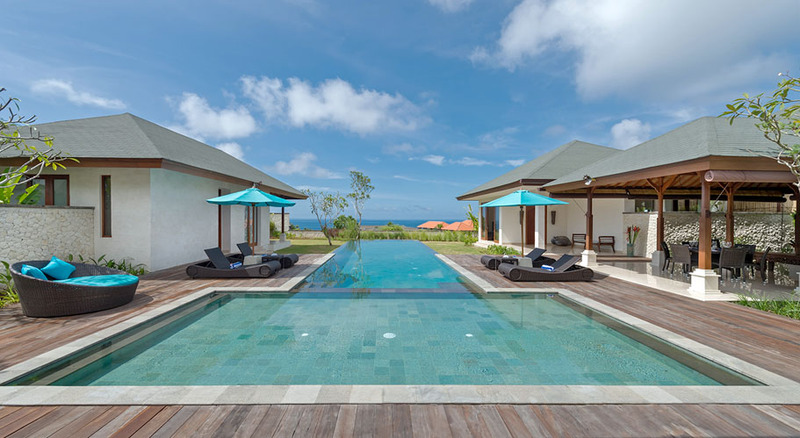 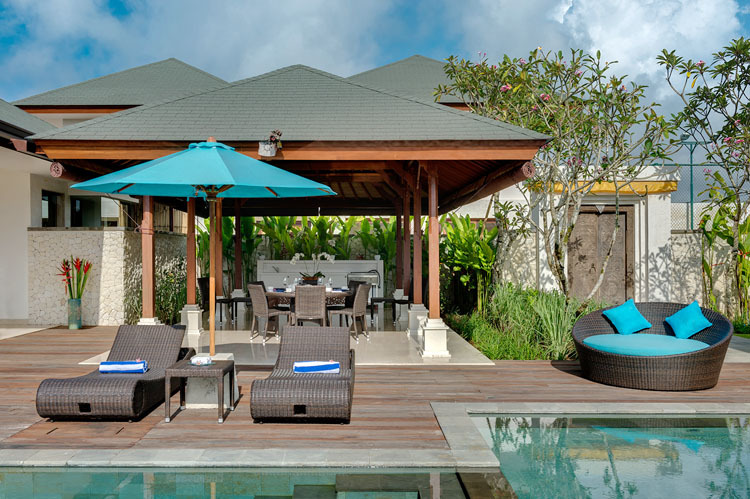 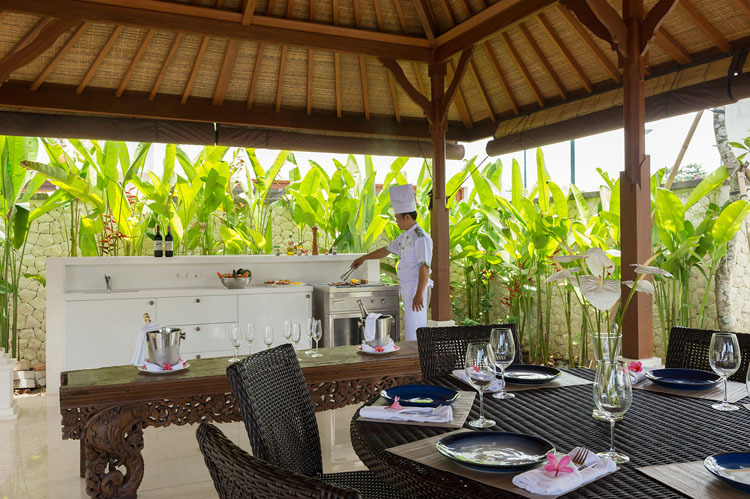 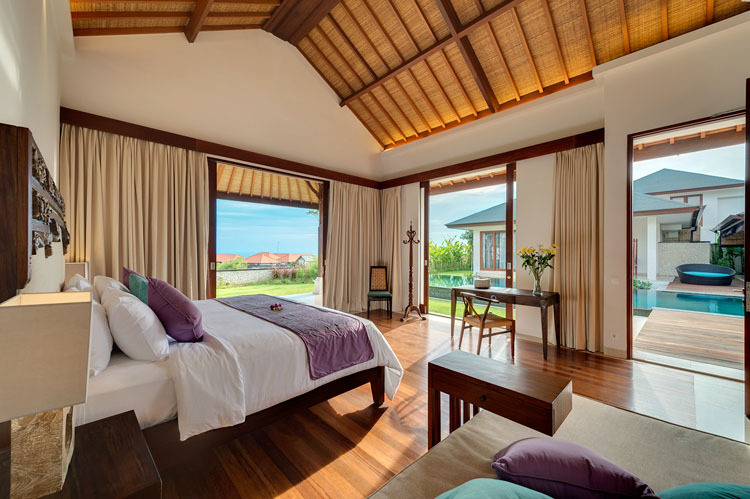 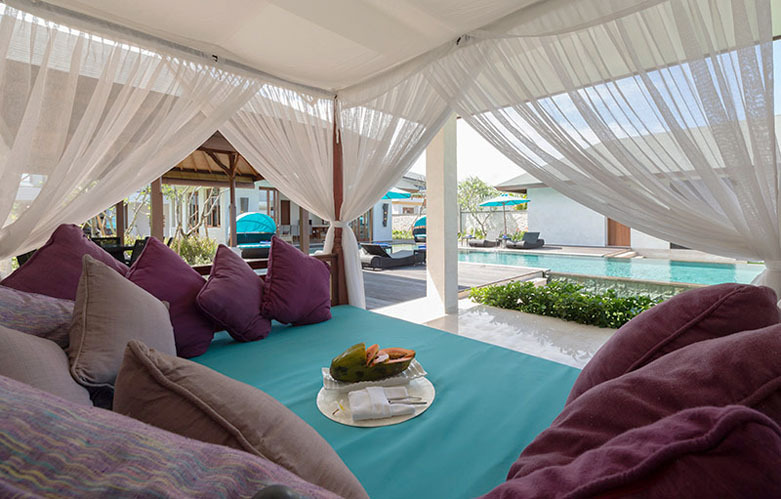 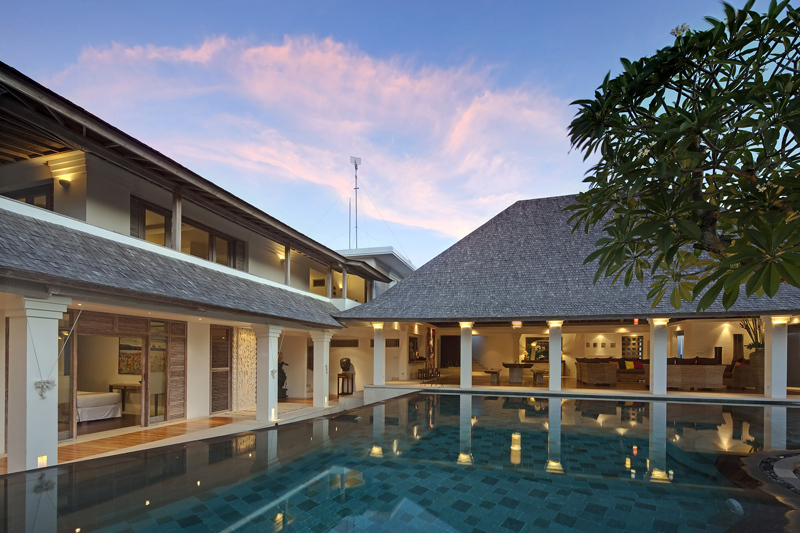 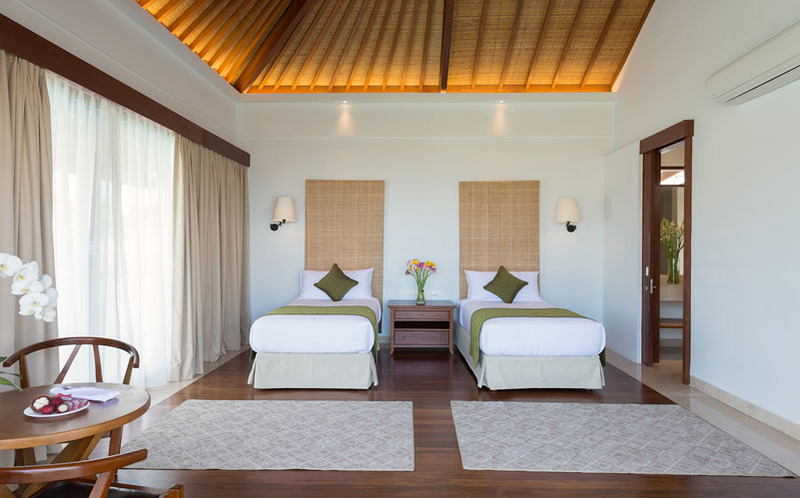 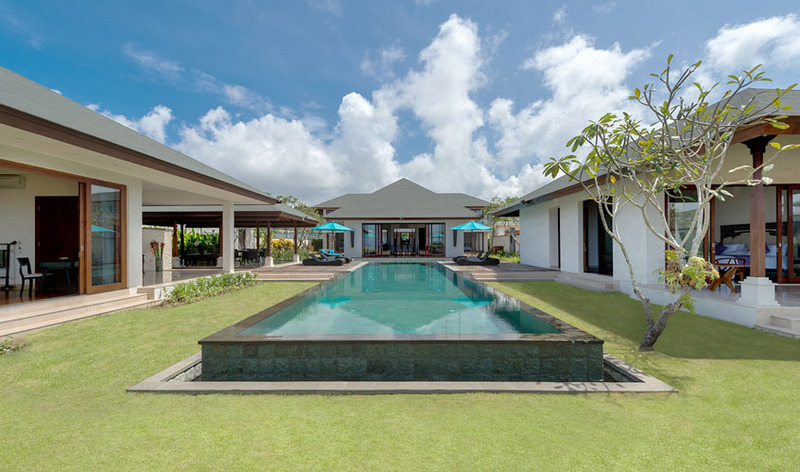 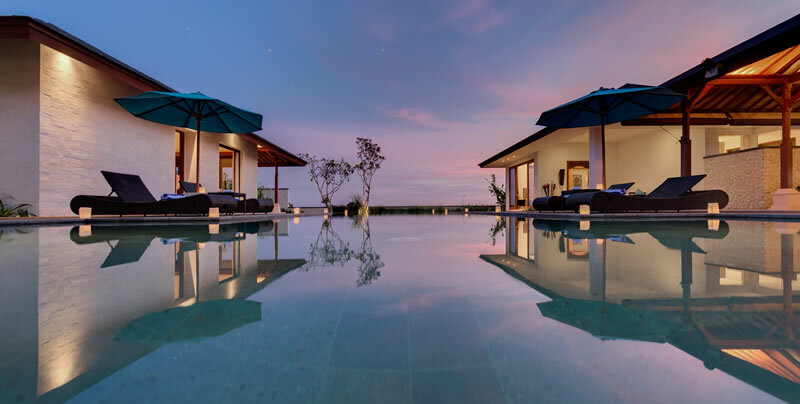 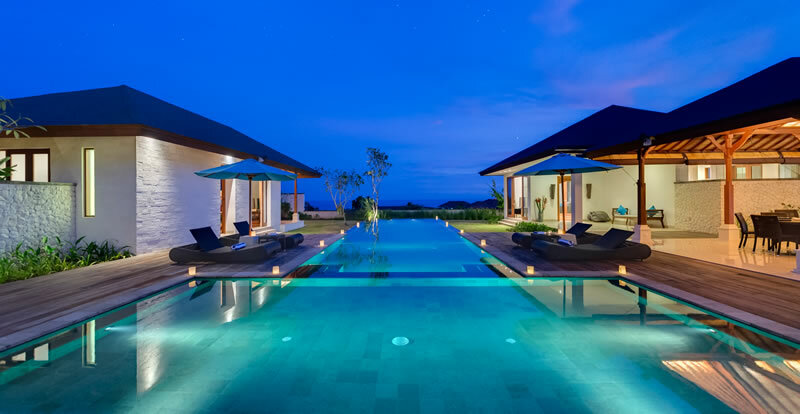 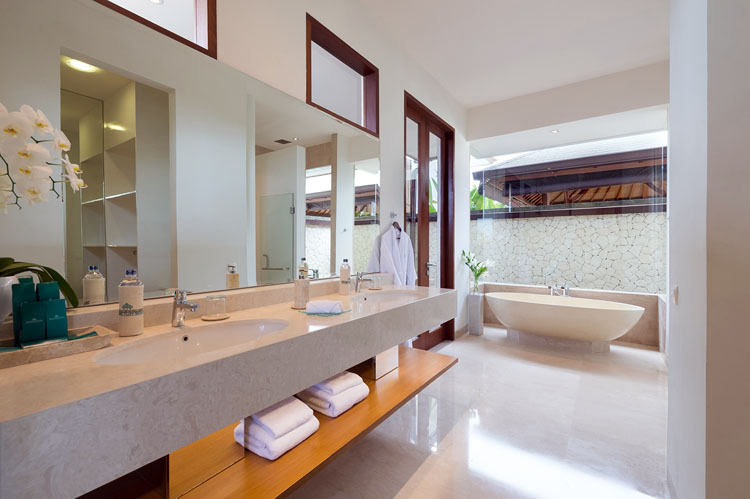 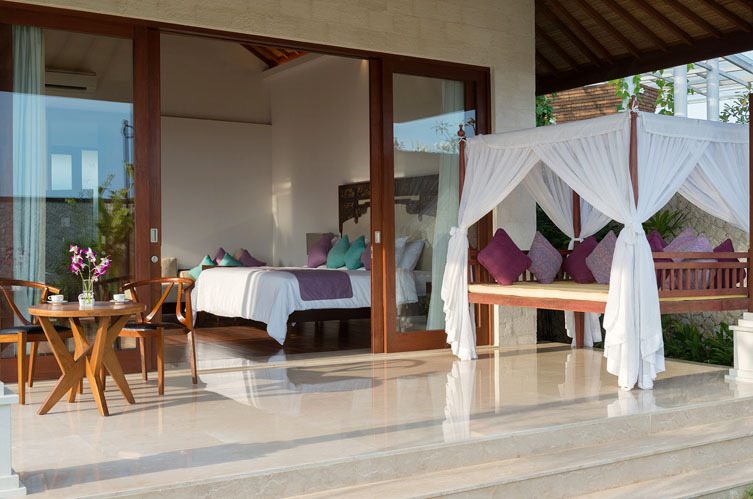 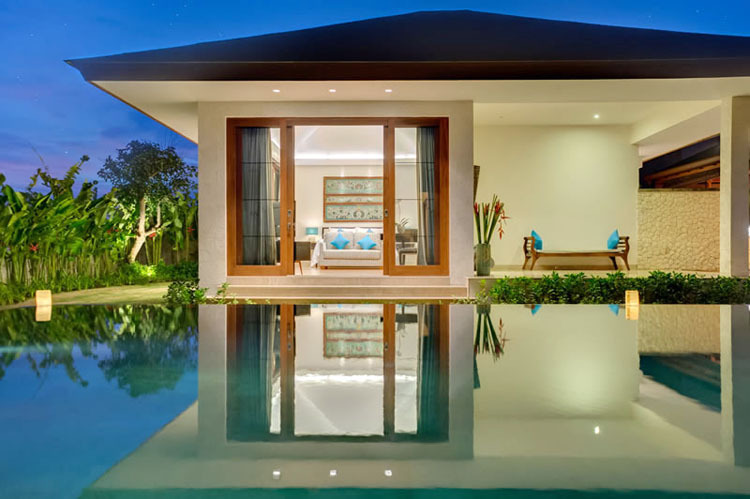 Being part of a complex of 3 separate villas, it is absolutely suitable with relaxing and well-being. 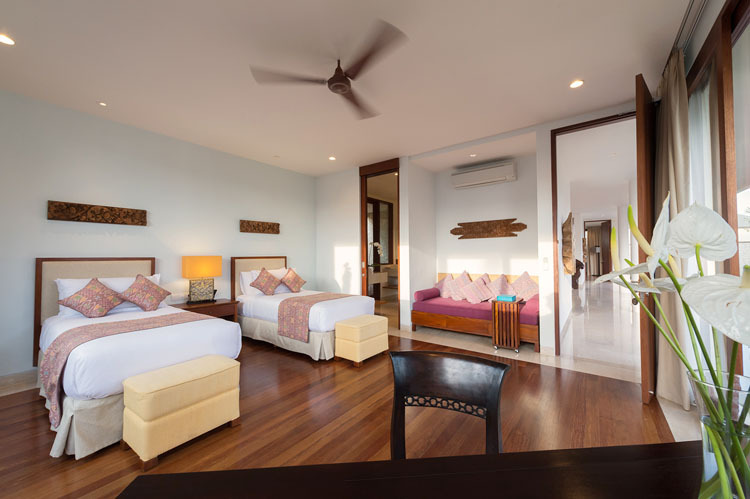 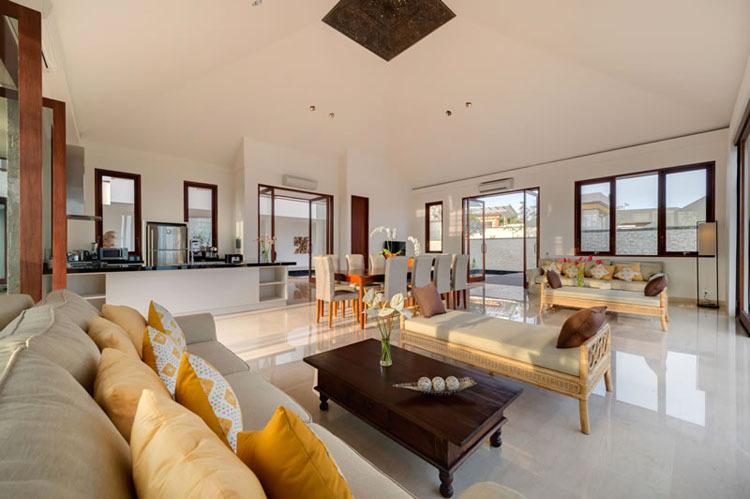 Located in the very famous district of Bukit, it is near the Pandawa beach. 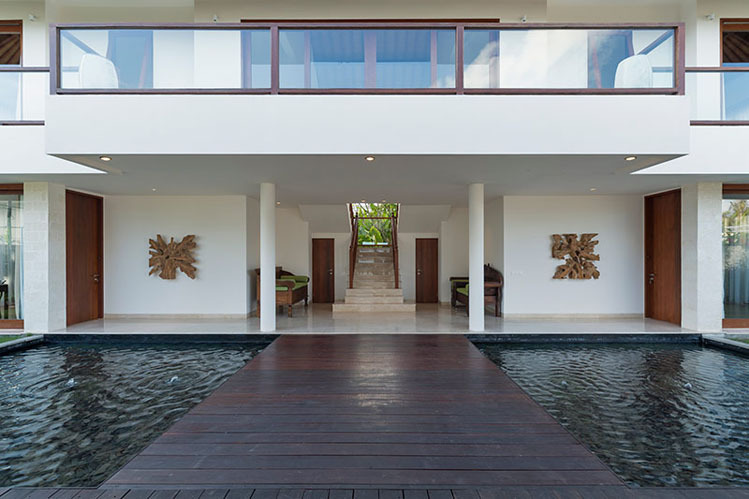 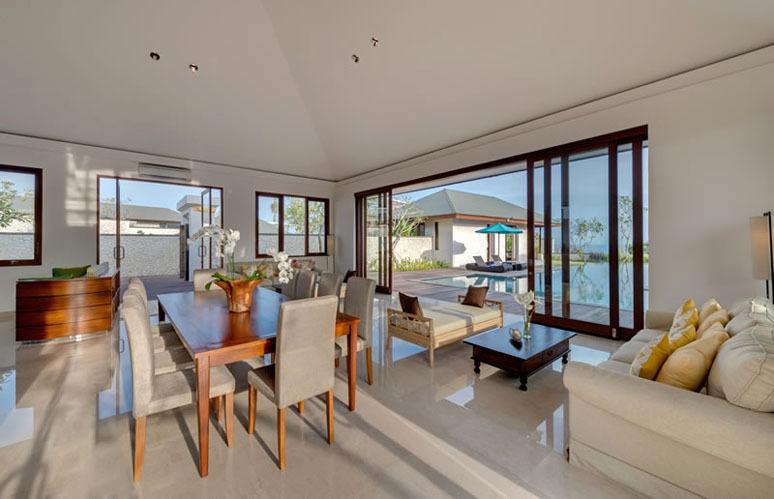 So, to rent this Bali villa is a top-grade choice in order to benefits of the Island of Godâ��s pleasure. 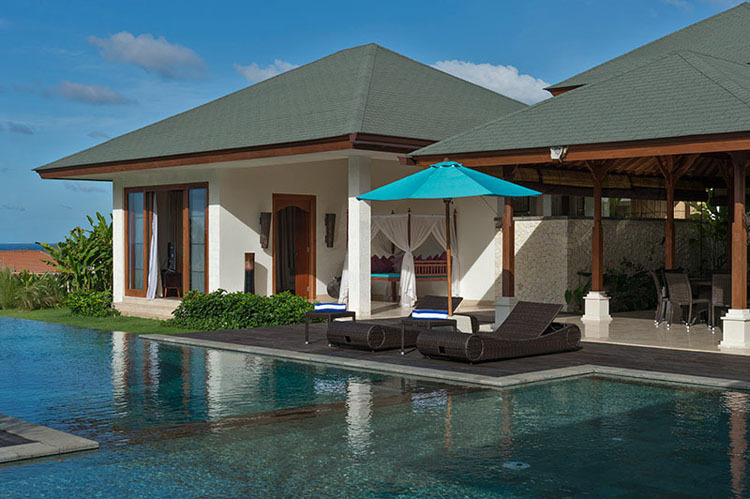 This luxury house can accommodate 12 persons. 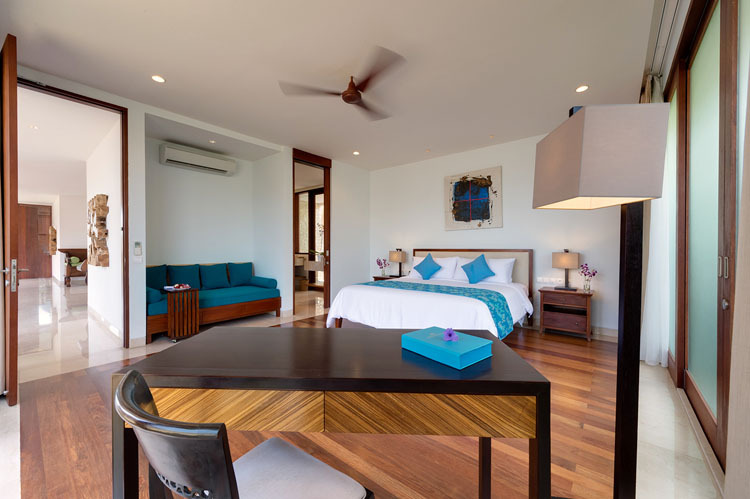 Sharing out 6 various bedrooms, guests will meet each other in the central lodge. 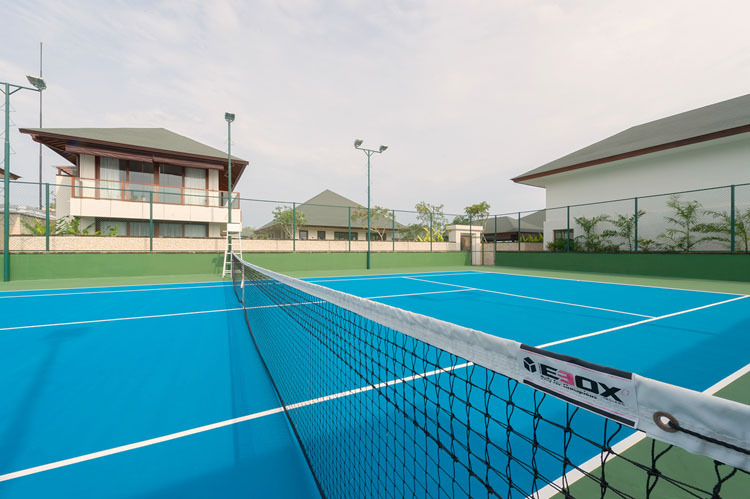 They will also take advantage of the tennis and squash court, the gym and the spa which are common of the estate. 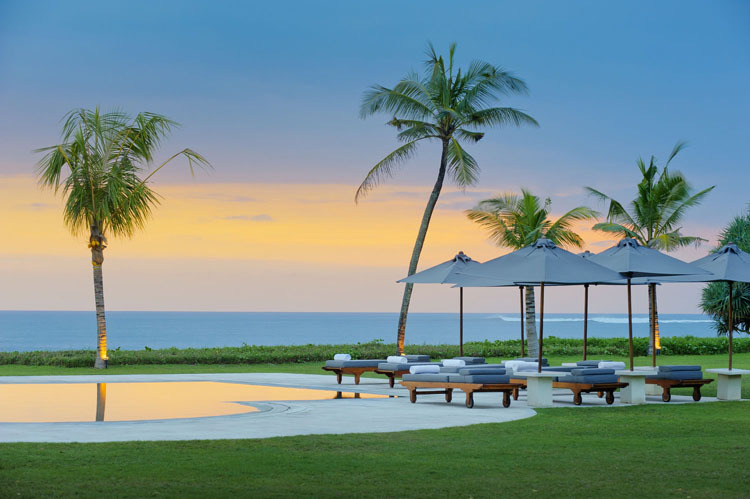 Likewise, the infinity-edge swimming pool of 17m long will impress them thanks to its beautiful vista on the Indian Ocean. 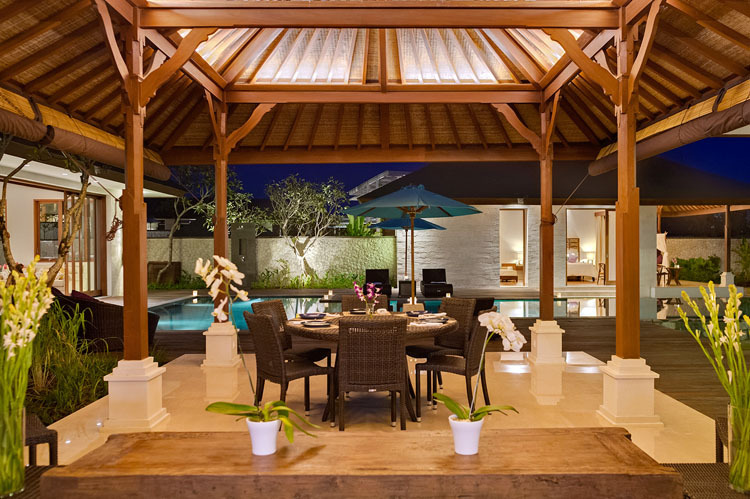 This family house includes a staff of 40 persons for the entire estate. The manager will be in charge of coordinate the different team members. 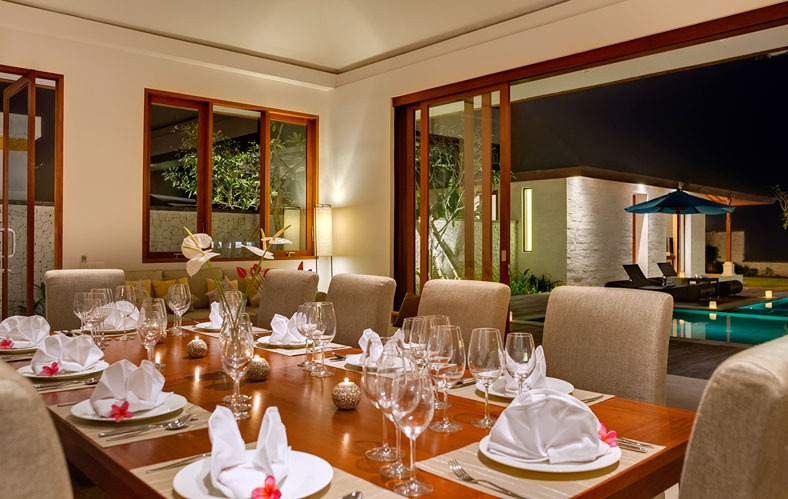 Events or reception can be planned in association with the staff. 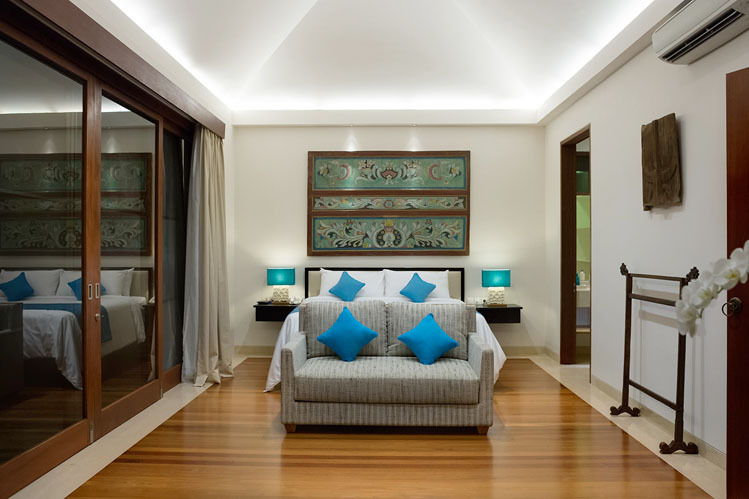 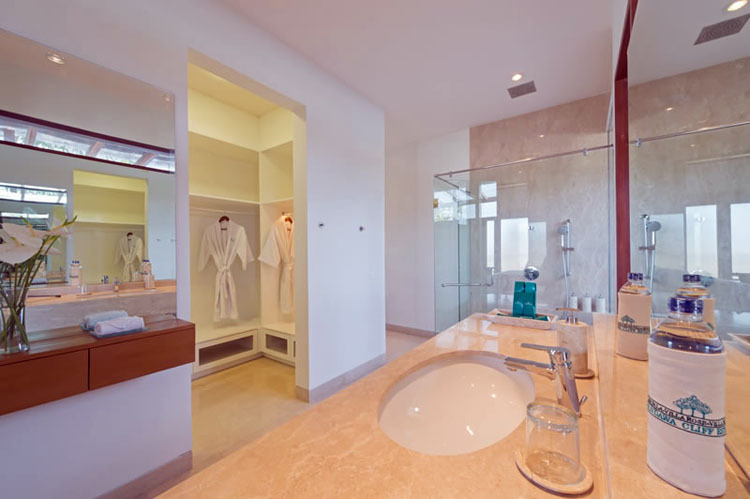 All is provide for your comfort and your serenity during your stay. 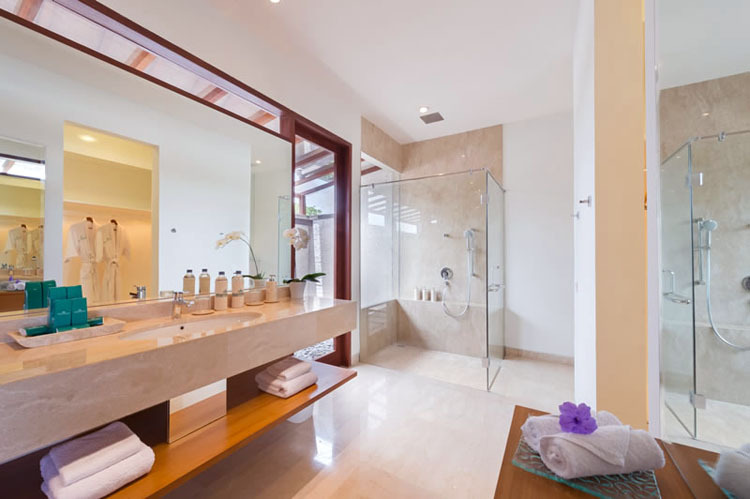 Thanks to its very advantageous situation, it will be easy to find activities but also enjoy some quiets. 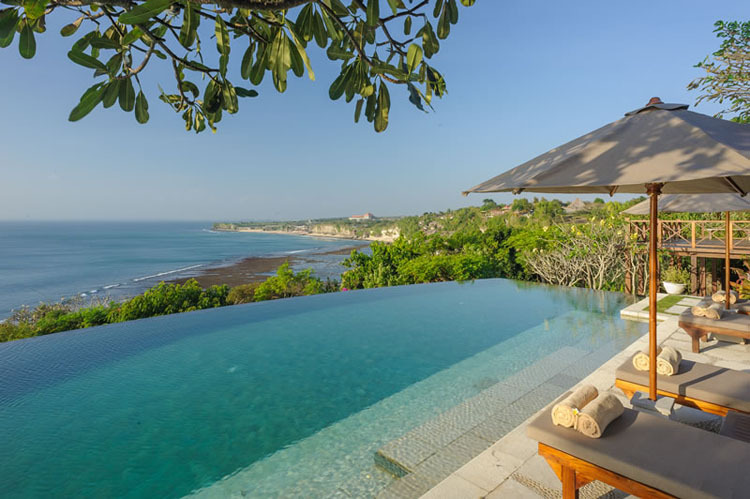 Many beaches are reachable and known as some of the best spot surf in the world. 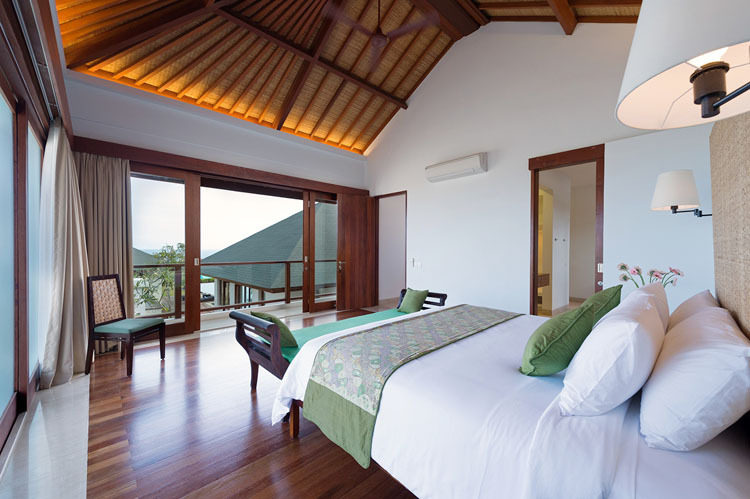 But there are also numerous occupations like cultural visit or course golf for example.